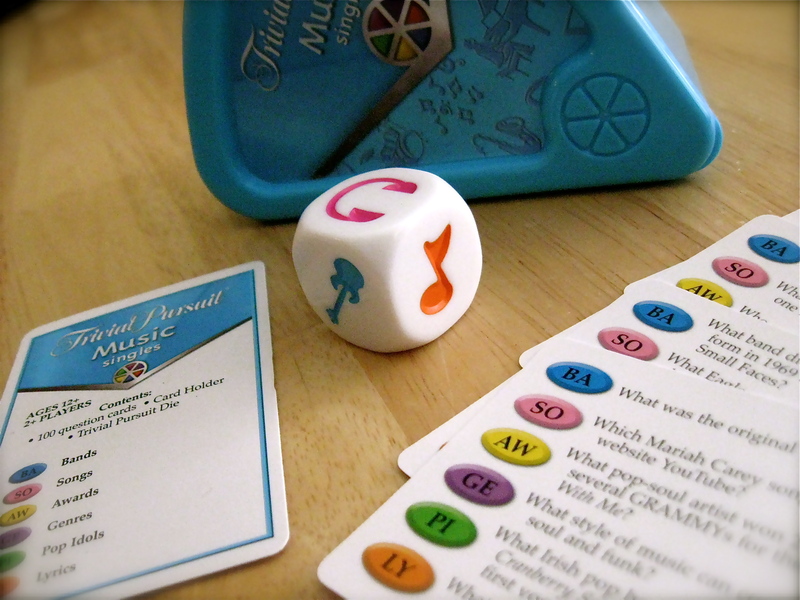 This week, we test our musical knowledge playing Trivial Pursuit Music Singles , a slimmed down version of the original game . Listen to find out who wins: the guy who says he doesn’t listen to the radio or the guy who does but can’t get the names of singers or song titles straight. Love the podcast guys. I can’t help but get a little excited when I see a new podcast from you guys. Keep ’em coming! BTW I knew the answer to the Ella Fitzgerald question(and I’m 22 years old). I knew the answer to the Tisket-a-Tasket question, too (I’m 43). The classic ones stick in my head more than the modern ones.